This cradle cap brush will help you gently remove flaking skin from your baby's scalp. Cradle cap, whichis also known as Seborrheic dermatitis, occurs on the scalp and is acommon condition that affects infants. Parents naturally worry when they seethe flaking skin of cradle cap, but in mostcases the condition is not serious or long-lasting. 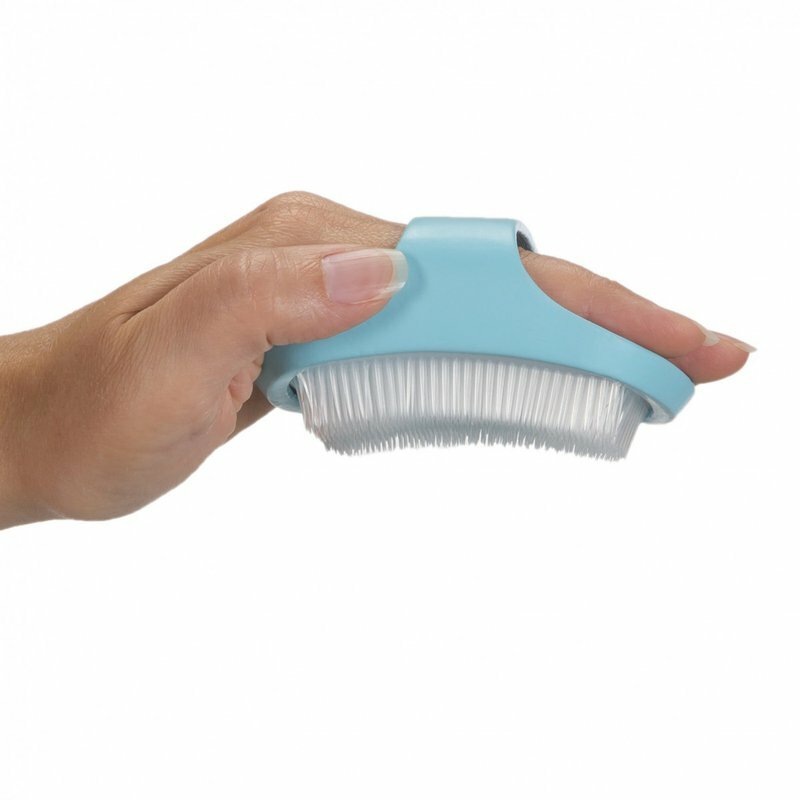 Using this cradle capbrush as directed will help you to gently loosen and remove theflakes from your baby's scalp to alleviate the symptoms and keep your baby comfortable. The soft bristles are also great for everyday baths, letting you give your baby's head a soothing scrub during bath time.